It goes without saying that an e-card costs nothing compared to a family pack of Christmas cards, so if you’re on a very tight budget this Christmas (and let’s face it, who isn’t?) then an e-card is a free alternative. This said, Christmas cards are available in increasingly cheaper packs online these days as well, so the balance may not so swayed in the ‘e’ favour! Thanks to the internet, people sending Christmas cards don’t have to rely on the postal service, because the card will be send immediately. 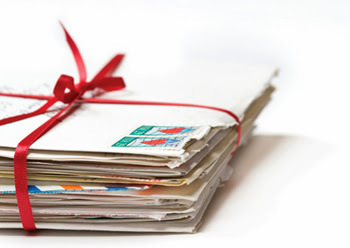 This saves time compared to people sending traditional cards that are handwritten and signed by all the family. Though traditional Christmas cards offer plenty of choice, e-cards come in hundreds, if not thousands of different designs, so a user can choose the right card for them. They can also choose to create their own card with a family photograph, if they wish. But what about traditional cards? Now, I realise that by now, I’ve made e-cards sound pretty cool, but I do love being able to have a card that I can physically hold and appreciate. By sending an e-card, we lose some of the intimacy that physical Christmas cards have given us since they were introduced in the 19th century, and of course, we lose the excitement of hearing them land on the mat on a December morning! So, will I be sending traditional Christmas cards or e-cards this year? My mind isn’t made up yet, but let me know what you’re going to do!